For many years, one of the most popular game genres has been that of fantasy adventure games. One of the first computer adventure games – Will Crowther and Don Woods’ “Colossal Cave Adventure”, first released in 1976, and written in the FORTRAN porgramming language – was presented in a textual form, essentially as a form of interactive fiction. Players were presented with a written description of the location around them, and a prompt where the player could enter a simple command about what to do next, using phrases such as “go north”, “enter building” or “kill monster”. – open the chest (turn to page 41). 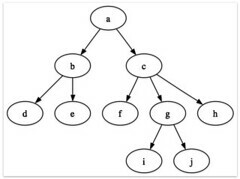 As you might suspect, this type of structure is easily replicated in a computer programme (and even more easily in a hypertext environment such as the world wide web!). If you would like to try out an interactive fiction game along the lines of Adventure, there is a good selection of classic games that can be played, for free, online at: ifiction.org). An online version of Colossal Cave can be found at: The Annotated “Colossal Cave” Adventure. To what extent would you say “interactive fiction” counts as a game? What sort of narrative structure might you expect to find in such a “game”, and what sort of structure would be inappropriate? With the rise of computer networks, the adventure game genre soon moved online, and 1979 saw the release of the first MUD – or multi-user dungeon – created by Roy Trubshaw and Richard Bartle of Essex University (you can read about the origins of the game in authentic form here: Early MUD History, with a timeline here: Incarnations of MUD). In contrast to Colossal Cave, a game that was run on a “mainframe” computer and then played via a terminal by individuals with an account on that computer, MUD was an online game that could be accessed by many people at the same time via an early incarnation of the internet (this was a time years before the advent of the world wide web…). What do you think are the major differences in terms of gameplay and technology requirements between a single person adventure game such as Colossal Cave, and a multi-player adventure game such as MUD? Although notable in that it did come with illustrations to support the text based descriptions, (and in doing so opened up the possibility of using visual puzzles to enrich the game), “The Hobbit”, a game based on JRR Tolkien’s book of the same name, and first released for some of the most popular home computers of the time in 1982 took the next step in text gaming with a parser that could cope with far more complicated grammatical expressions than most of the games of the time. From Text Games to 3D Worlds – Is There a Link? Although many of today’s contemporary online role playing games such as World of Warcraft are based in fantasy worlds that may be reminiscent of the worlds conjured up in the earliest text adventure games, it is arguable that their gameplay owes little to those earlier games. However, as we shall see in a future post, many of the social roles that individual players can fall into when playing a multi-user adventure game from 20 years ago are the same roles that exist in today’s multimedia, immersive 3D fantasy worlds. Although today’s fantasy role playing games are very different in style to the early text based adventure games, some commentators have tried to see them as a developing genre. The following video shows just how far massively multiplayer online roleplaying games have come in a visual sense, from the original MUD text adventure, to the 3D persistent virtual worlds of today. To find out more about the latest massively mutliplayer online role-playing games, check out the MMORPG Center – Massively Multiplayer Online Games Portal or this MMORPG Online 100 Chart. Just to round off the current series of posts on the story structure (or narrative structure) of a game, I think it’s worth mentioning a few more terms that you’re likely to see if you explore this topic in further depth. First up is the idea of a story arc – this is the principle storyline/narrative thread in a game, (although it may also be refer to one of several coherent storylines in a game, as for example in a game with a threaded structure). Using television or radio soaps as an example, (or equally, serialised comic book stories, or game and film franchises/sequels) a story arc is an extended storyline that may weave several consecutive episodes together in narrative terms, whilst still allowing each individual episode to explore its own, ‘local’ storyline. To contrive an example, a series of inevitable points in a foldback story structure can be used to construct the story arc that plays out through a game as a whole. In many storytelling traditions, certain tried and trusted story arcs – or character arcs (that is, the emotional rollercoaster that the lead character lives through) – can be seen again and again in many different stories, and across many different storytelling forms (traditional (oral/spoken) storytelling, theatrical plays, short stories, novels, film screenplays, and so on). In the Beginning you introduce the reader to the setting, the characters and the situation (conflict) they find themselves in and their goal. Plot Point 1 is a situation that drives the main character from their “normal” life toward some different conflicting situation that the story is about. In the Middle the story develops through a series of complications and obstacles, each leading to a mini crisis. Though each of these crises are temporarily resolved, the story leads inevitably to an ultimate crisis—the Climax. 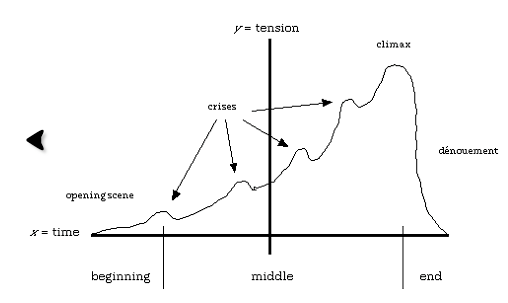 As the story progresses, there is a rising and falling of tension with each crisis, but an overall rising tension as we approach the Climax. The resolution of the Climax is Plot Point 2. In the End, the Climax and the loose ends of the story are resolved during the Denouement. Tension rapidly dissipates because it’s nearly impossible to sustain a reader’s interest very long after the climax. Finish your story and get out. Before the denouement can take place, there are two key features identified by Aristotle that are still important in any drama: anagnorisis, which can be translated as recognition or discovery, and peripeteia, or a change from one state of affairs to its opposite, a reversal of fortune. The famous example used by Aristotle to illustrate his theory is that of Oedipus Rex. Once Oedipus, king of Corinth, has recognized that it was he himself who, unknowingly, killed his father and thus condemned the city to relentless plague, he puts out his own eyes and goes into voluntary exile, thus reversing his fortunes. Another popular character arc is the Hero’s Journey, articulated by Joseph Campbell’s monomyth pattern. The monomyth describes the structure of many classical myths, and also provides a structural starting point for many science fiction narratives today. Read the hero’s journey : summary of the steps and summarise the key steps in the journey. Write down your ideas (linking back here) for two or three different, interactive ways with which you might represent the hero’s journey. For example, here is an interactive hero’s journey wheel – hover your mouse over each part of the journey, and a brief description will appear. Comparing the story structures described in An Unfortunate Sequence of Events with Adrian Hon’s six story types – story as reward, story as experience, branching narrative, pseudo AI, sandbox games, dungeon master games – we see that Hon is actually more interested ways of negotiating the role of stories in games in terms of how the players act, react and engage in the development of the story, and the way the games develop at a narrative level, rather than mapping them out in an abstract structural sense. Designing a story that suits a linear narrative structure is relatively straightforward. Everything about the story, and the pathway through it, is known at the outset. Foldback narratives often a reasonable balance in terms of ease of construction and a fictive world that provides opportunities to surprise the player even on repeated plays of the game. However, wouldn’t it be even more rewarding if the story could be created as it is played, providing opportunities for the layer to surprise the designer with the story the game tells as it is played out, as well as the player, whilst still remaining coherent? That is, can interactivity extend as far as allow the player to interact with the creation of the storyline of the game, as well as interacting in some way within a particular story line created by the designer of the game? A distinction that has proved fruitful in considering this possibility identifies two sorts of narrative within a game since it was first introduced by Marc Leblanc in a presentation at the 1999 Game Developers’ conference (Formal Design Tools: Feedback Systems and the Dramatic Structure of Competition): embedded narrative vs. emergent narrative. That is to say, in an embedded narrative, the story exists to a certain extent even without the interaction of the player. In the case of games designed according to a foldback structure, with cut scenes advancing the story at each inevitable point in the game, the cut scenes could almost be placed back to back to reveal the plotline of the whole game. In an emergent narrative the players interaction with the game is such that a storyline unknown to even the game designer may be the result. Taking a game such as The Sims as a prime example, the player manages and develops various goals and desires amongst some of the Sims characters, and a story of everyday life in the suburbs emerges as a consequence of player choices and random events and interactions programmed into the game. Whilst at first it might seem as if this suggests that emergent narrative creation would correspond to a ludologists’ view of how stories are told by games, and embedded narratives correspond naturally to a narratological view, I think the relationship is a more subtle one. If pushed, I would probably suggest that they can both be accommodated by the ludologist and narratologist positions. For example, in the case of an emergent narrative, the player may interact with the rules to create the story (ludologist position) or interact with the story to create the story (narratologist position). PS I recently came across a wonderful set of visualisations about the different pathways through several “Create your own adventure” style books: One Book, Many Readings. Inn the chapter on “Storytelling and Narrative” in Fundamentals of Game Design (pages 194-204), Adams & Rollings categorise stories as linear, or non-linear. Non-linear stories further subdivided as branching or foldback stories. These story structures (or “narrative structures”) can actually be imagined, or visualised, using a mathematical technique known as “graph theory”; thinking of stories in terms of these ‘graph structures’ can often help clarify how to plan out, or construct these stories, as a narrative designer, so that they remain consistent and the storyline does not get confused. One event (a, b, c, d etc. ) follows the previous one in a strict sequence. This sort of structure happen to be know as a tree. Every event leads to another unique event. 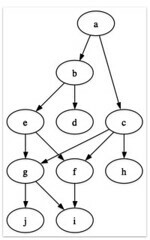 In an interactive fiction story (“do you: a) go north (turn to page 10); b) go south (turn to page 17)”) this structure corresponds to a story in which each page can only be reached from one particular preceding page. Constructing this sort of story can be very time consuming, and is hugely inefficient, as no events can be ‘reused’ in different sequences. However, you will notice that ensuring each possibly storyline (that is, each path through the events graph) makes sense is likely to become increasingly difficult to manage as more events need to be plotted. The foldback story structure is build around a series of key, inevitable events through which a story must progress. In many games, user interactivity allows the player a certain amount of freedom in how they make their way between inevitable events, before folding back to the inevitable events. Foldback stories support a degree of “replayability”: that is, they are capable of keeping the player engaged if they play the game more than once, by allowing them to find a different way through it, even if they know the ending. Where a potentially unknown outcome is essential for maintaining player engagement, the final inevitable event may provide a staging point for several different endings. In many games, a filmed live action or narrated “cutscene’ will progress the narrative at certain points of the game. Though disliked by many commentators and game players, cutscenes make a common appearance in this most common of game structures (that is, the “foldback” story). Think back to any computer games you are familiar with – can you identify what sort of narrative structure it had? Reviewing the story structures described above by Adams & Rollings, what problems can you foresee in trying to plot a game story in each case? How replayable is a game constructed according to each of the structure types likely to be? PS See also the various structures that emerge in “Create your own adventure” books: One Book, Many Stories. In Games as Stories? Are Games a Form of Interactive Fiction?, I posed a few questions around the first half the article Foundations of Interactive Storytelling that were intended to help you explore the notion of interactivity in the context of storytelling. Interactive Characters how can characters be designed at a high level technical level so that they can take on an interactive role with the game? Having spent some time thinking about these things, we have seen how the introduction of interactivity into a game complicates the extent to which we can view a game as the telling of a story in the way that a film, or a traditional novel tells a story.